Participate in a BlazBlue: Cross Tag Battle tournament, brought to you by World-8! Game Description: An unrivaled clash of explosive proportions! The beloved BlazBlue franchise Crosses universes, Tags in fan favorites, and Battles it out in BlazBlue: Cross Tag Battle! 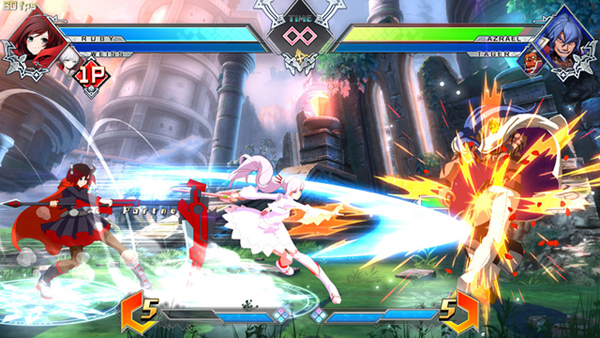 Created through an all-star collaboration between BlazBlue, Atlus’ Persona, French Bread’s Under Night In-Birth, and Rooster Teeth’s hugely popular RWBY web series, Cross Tag Battle celebrates the fighting genre for pros and newcomers alike! Choose your team in fast paced 2v2 team battles filled with the craziness you’ve come to love from BlazBlue, with all the tight mechanics, smooth gameplay, and gorgeous 2D graphics you expect from Arc System Works..